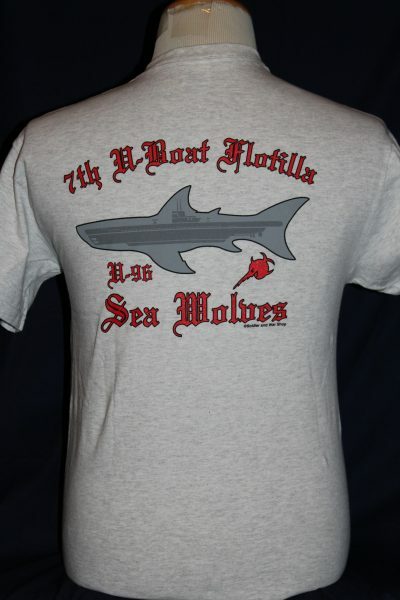 The U-96 7th U-boat Flotilla St. Nazaire France T-shirt is a two sided print in light grey. 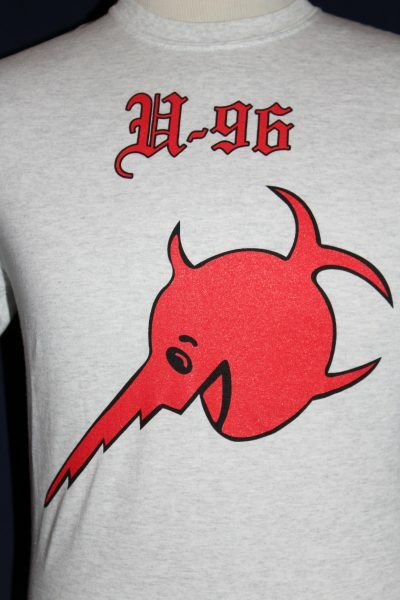 Front Design: The Smiling Fish symbol was used on the U96 coning tower, and was also used as the 7th U-Boat Flotilla symbol. 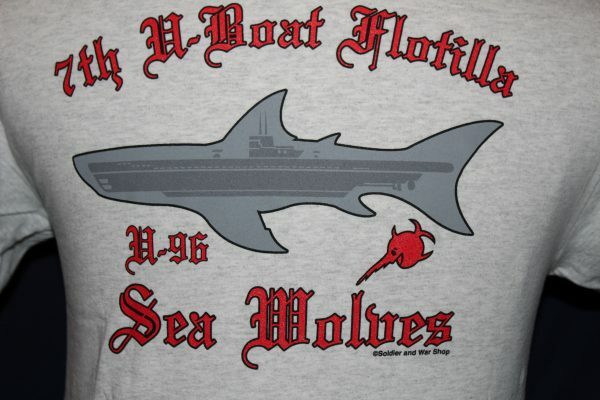 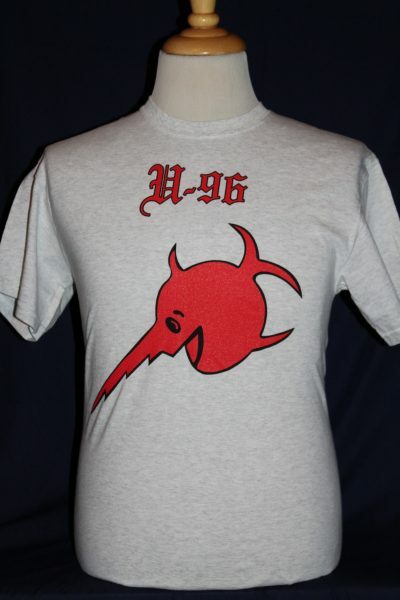 Back Design: The U96 U-boat displayed inside a shark image, with text.